Council members should be scrutinizing the human-services department and its leadership. They must also support efforts to improve the department's performance and increase accountability of spending on homelessness. It would be tremendous if the Seattle City Council fulfilled its oversight duty by scrutinizing the city’s costly homeless response, demanding better performance and faster reductions in the amount of suffering on the streets. 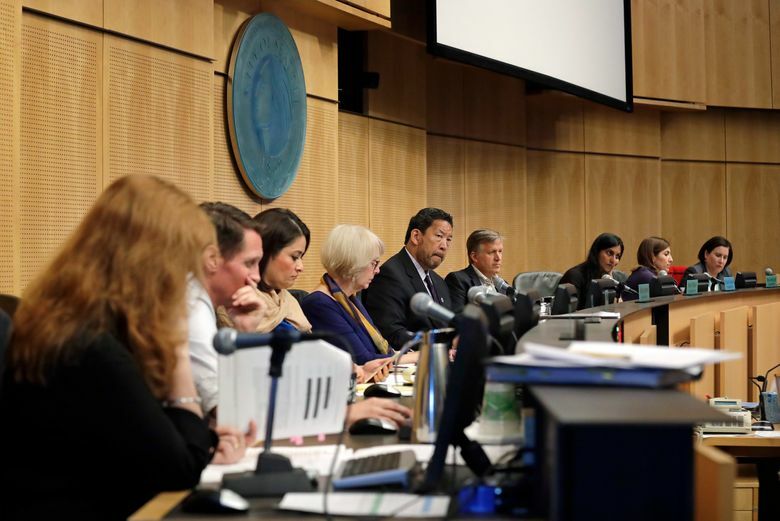 Instead, the council’s human-services committee is rousing from its indolence only to politicize and delay Mayor Jenny Durkan’s appointment of a new director of the city’s social-services department. Committee Chair Kshama Sawant is sitting on Durkan’s nomination of Jason Johnson, who has served as acting director for about nine months after serving as deputy director for three years. This comes after Sawant heard from vendors chafing under the department’s efforts to better manage costs. Johnson is a seasoned leader who has made progress improving contracts — and accountability for vendors — while increasing placement of homeless people into permanent housing. Still, there are reasons to be skeptical of the mayor appointing an insider. Nobody is pleased with the status quo, and the city’s annual spending increases on human-services are unsustainable. Johnson should be grilled about these issues by the council. Instead, Sawant scheduled a special meeting of her committee for Tuesday night and, as of Thursday morning, hasn’t even invited Johnson to attend or given him the usual list of questions to discuss. Sawant declined to discuss the situation with this editorial board. Sawant has squandered credibility to champion this cause. Despite the city’s pressing homeless crisis, Sawant’s Human Services, Equitable Development and Renters Rights Committee has checked out, canceling 11 of 14 meetings since July, although one fell on Christmas Day. Durkan’s office said Sawant also canceled regular meetings with the mayor to discuss human-services issues and declined meeting times with Johnson until recently. What’s really at issue is how much sway vendors have over the city’s spending on human services. The budget is nearly $200 million a year, mostly to serve a homeless population hovering around 12,000. Friction increased in 2016, when outside experts found wasted dollars and mismanagement in what has been a vendor-driven system. The city overhauled the way it contracts with vendors — the organizations that deliver homeless services. It imposed performance requirements that limit payments for vendors that don’t meet goals. This was a massive cultural shift at City Hall and remains a work in progress. The council also has undermined this work by using budget authority to fund politically connected vendors that didn’t merit funding under the new approach. Council members M. Lorena González and Teresa Mosqueda also have jumped in, raising concerns that Durkan’s selection process wasn’t inclusive enough, particularly for employees and their bargaining unit. These concerns should be addressed without impeding the department’s progress toward better accountability and outcomes. Council members had many months to call for an expanded search or a different hiring process. Bogging down the nomination could also slow efforts to consolidate and better coordinate homeless services provided by the city of Seattle, King County and other regional cities. Council members should be scrutinizing the human-services department and its leadership. They must also support efforts to improve the department’s performance and increase accountability of spending on homelessness. And, in this election year, voters also should be scrutinizing council members’ actions. A better performing system does a better job helping those in crisis and needing public assistance to obtain shelter, support and housing. Resisting such improvements, and diverting scarce dollars to vendors that don’t perform, helps only cronies.